"Every time I try to shut down my computer, I was forced to update my Windows 10. But I really don't want to update my operating system because the automatic update might take up the system and network resources. Is there anybody can help me solve this problem and disable Windows 10 update? Thanks in advance." What would you do? Here, we have the following solutions. 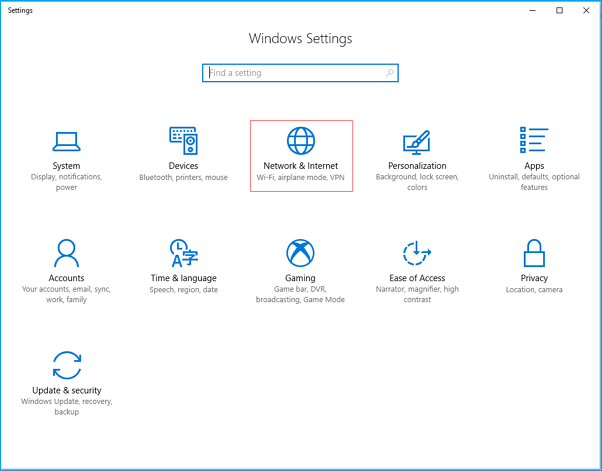 Before proceeding with the four solutions to fully stop Windows 10 updates, check your own Windows 10 edition (Home, Professional, Education or Enterprise) by going to Settings -> System -> About so that you can find the most appropriate solution. Besides, the fourth way of trying to control the Windows 10 update by using Registry is somewhat risky, do remember to backup your data and the details will be shown in the extra tips section. 1. Press the Windows logo key + R at the same time to invoke the Run box. 3. Scroll down to Windows Update, and double-click it. 4. In Startup type, select Disabled. Then click Apply and OK to save the settings. Understand that this method won't work for Ethernet connections. You can only disable automatic updates by using this method on a Wi-Fi connection. If your computer is connected to WiFi, you can try this to stop Windows 10 automatic updates. 1. Click the Start button at the bottom left on your desktop, then click the Settings app. 3. Click WiF in the left pane, then click the name of your Wi-Fi connection. 4. Click to turn on Set as metered connection. Step 1. 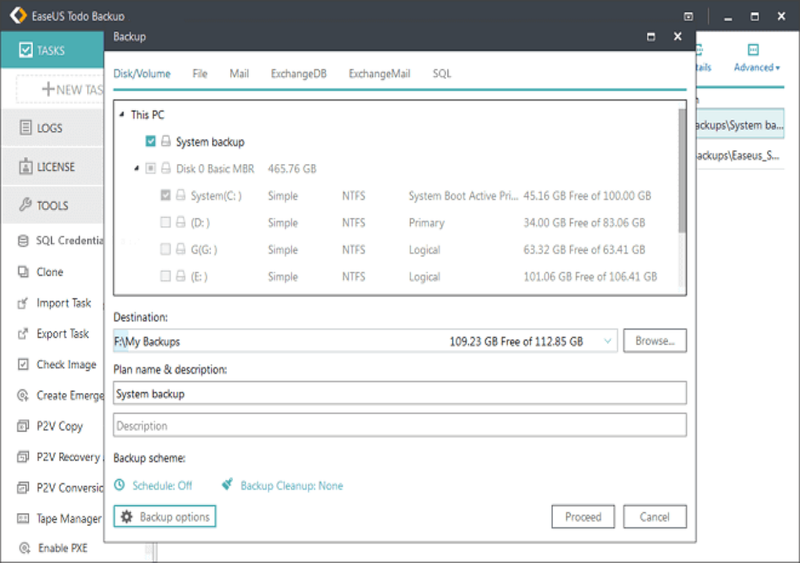 Launch EaseUS Todo Backup and then choose the backup option you want. Step 2. Choose the system, hard drive, files or apps that you want to backup, and then select a destination where you want to store the backup file. Step 3. Click "Proceed" to backup data from hard drive. 2. Type regedit, and click OK to open the Registry. 3. Right-click the Windows (folder) key, select New, and then click Key. 4. Name the new key WindowsUpdate and press Enter. 5. Right-click the newly created key, select new, and click Key. 6. Name the new key AU and press Enter. 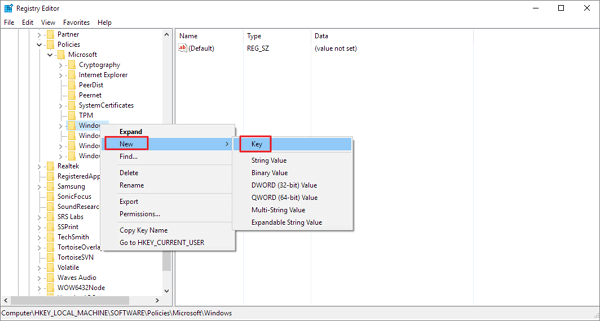 Inside the newly created key, right-click on the right side, select New, and click on DWORD (32-bit) Value. 7. Name the new key AUOptions and press Enter. Double-click the newly created key and change its value to 2. It's for "Notify for download and notify for install". Click OK.
8. Close the Registry to complete the task. 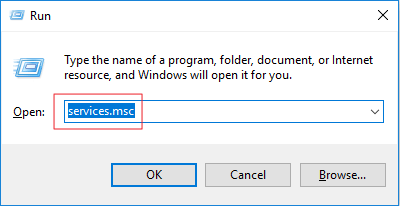 Using this value prevents Windows 10 from downloading updates automatically, and you'll get a notification when new updates are available. 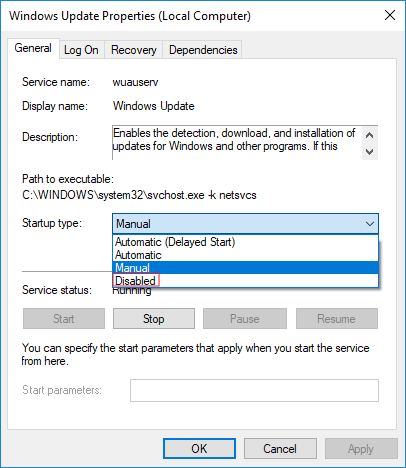 By this way, you can avoid any auto Windows 10 update effectively. That's how you could make an attempt to disable Windows 10 update in every way. Each method has been proved to work as long as you wish to turn off all the automatic updates in Windows 10. 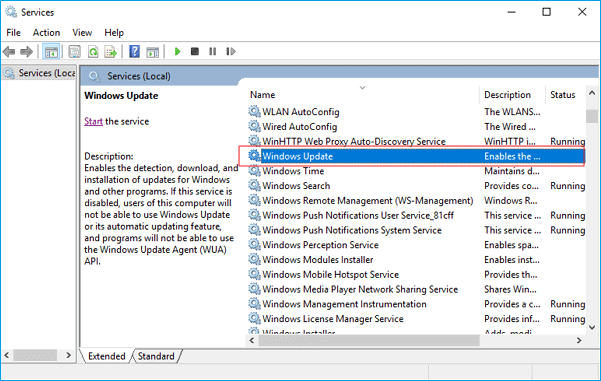 In the end, we're also asked to address another similar Windows 10 update issue which frequently bothers users for a long time, if you're the one who is looking for a way to stop a Windows 10 update in progress, leave this page and move to the linked page for help.